Here’s a mistake from a trig class. 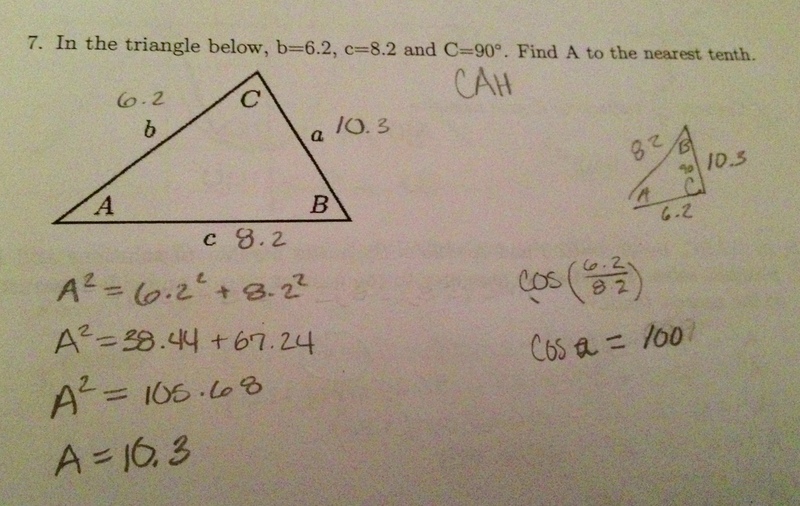 Would the question be easier in a Geometry class? Here’s my theory: teachers underestimate how weak most of our students’ knowledge is, and how weakly in transfers. In particular, this problem became twice as difficult as soon as it was offered in the context of a trig class, without carefully writing the right angle in there with the lil’ square. Thanks to the Uncanny Tina Cardone for the submission.